Nagambie sits on the shores of Lake Nagambie, an artificial lake created by the Goulburn Weir in 1891, where rowing regattas and waterskiing tournaments are held. The town holds the Australian Rowing Championships semi-regularly. Avenel plays a role in the legend of Australias famous bushranger, Ned Kelly, who spent his childhood living in the town. While Ned left for a life of infamy, his father John (Red) Kelly is buried at the Cemetery. It boasts one of Victoria’s more impressive bridges in the six-arch, stone crossing of Hughes Creek. The village of Violet Town sits within a valuable farming district which runs from the Strathbogie Ranges to the flood plains of the Honeysuckle Creek and its tributaries. If there is one day you should visit town, it is the second Saturday of the month for the famous Violet Town Community Market. Euroa is a town in the Shire of Strathbogie in the north-east of Victoria, Australia. At the 2011 census, Euroa had a population of 3,100. The name Euroa comes from an Aboriginal word in the old local dialect meaning "joyful". Strathbogie is a town in Victoria, Australia. It is in the Shire of Strathbogie local government area. 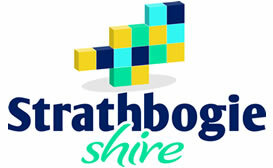 At the 2006 census, Strathbogie and the surrounding area had a population of 256. The Post Office opened on 10 July 1878.Golfers play at the course of the Strathbogie Golf Club on Armstrong Avenue.